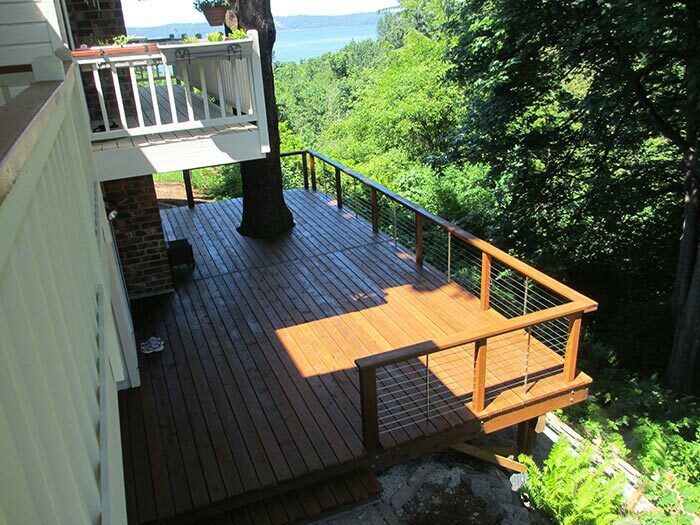 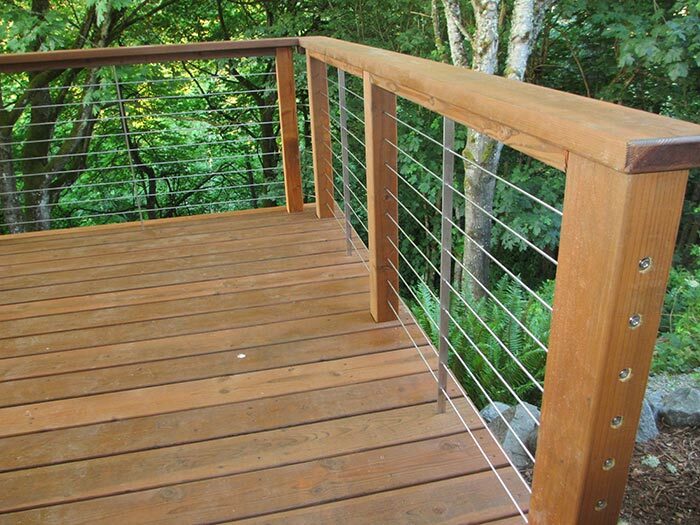 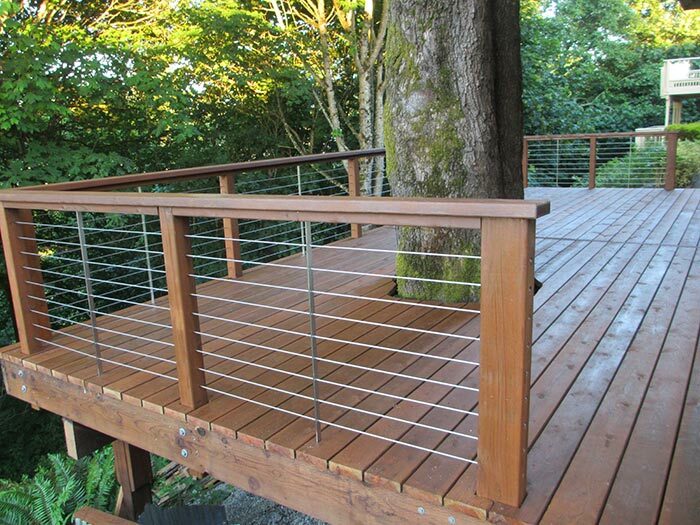 This is a nice example of a solidly built wooden railing system. 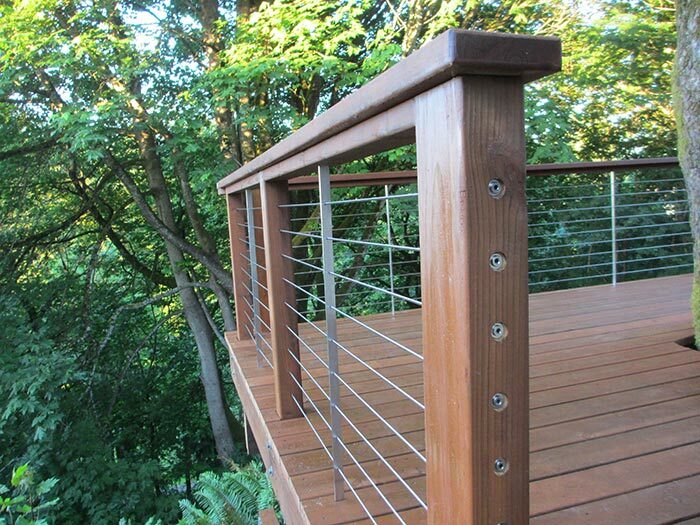 4x6 end posts were used for added strength and 2x4 blocking was installed underneath the top rail to further stiffen the railing. 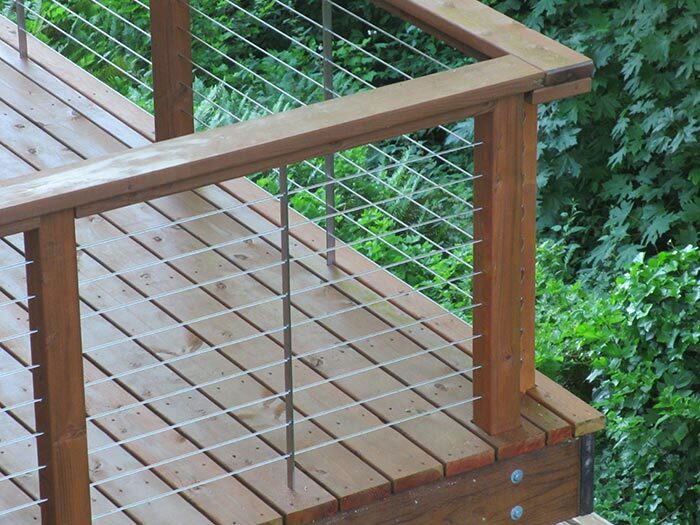 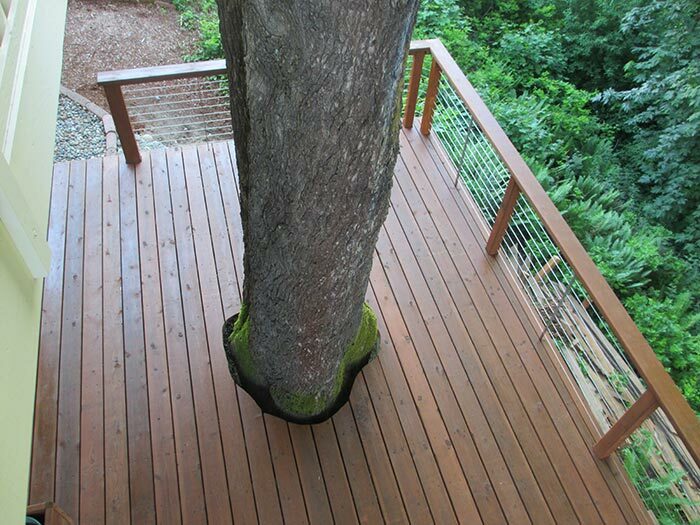 The deck was built with posts mounted inside of the rim joist using two-post corners to allow the cable to flow around the deck. 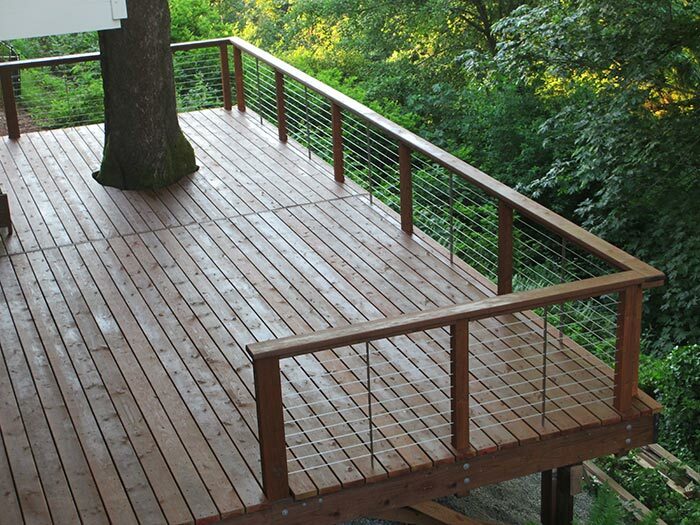 Custom stainless steel bar stock spreaders completed the setup.